Google, the world’s most popular search engine, an American multinational, Internet and software corporation, was initiated as a university’s research project by Larry Page and Sergey Brin who teamed up while studying at Stanford. On September 4, 1998, it started with the purpose of indexing the Stanford Digital Library with the name BackRub. After three years, they tried to sell it to Excite for $1 million but they rejected. The very next year Google received $25 million as fund. Today, Google is a multi-billion dollar company, employing over 32,000 people across the world and making over $10 billion as annual profit. The most popular social networking site, Facebook, emerged as an experiment to connect Harvard undergraduate students through the web. 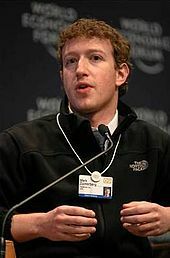 At the age of 19, Mark Zuckerberg launched the site on February 4, 2004 as a Harvard sophomore with the then name “thefacebook.com”. The site was an instant success and within six years, it has become one of the largest web sites across the world. Today, with over 850 million visitors a month, Facebook is the world’s largest Social Media channel with the net worth of $100 billion. By the end of 1995, Yahoo received one million hits. Founders Yang and Filo could visualize that their website had immense business potential, and On 12 April 1996, Yahoo raised $33.8 million dollars by selling 2.6 million shares at $13 each. 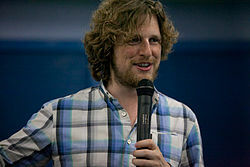 WordPress, free and open source CMS/Web software, created by Matthew Charles “Matt” Mullenweg, when he was still a freshman. Matt launched it on May 27, 2003 as a division of b2/cafelog and by the end of December 2011, 3.0 version had been downloaded for more than 65 million times. Today, a majority of content websites prefer to use it and there are over 150,000 of the top 1 million websites built on WordPress platform. 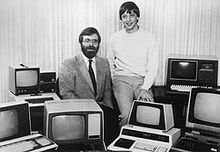 Bill Gates and Paul Allen, founders of Microsoft, had great passion for programming throughout their high school. After attending Harvard, Paul somehow convinced Gates to dropout to work on their project and launch “Micro-Soft” at the quickest. 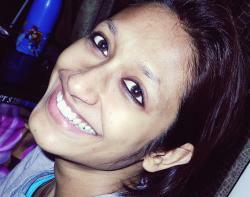 The initial years were full of hurdles but they succeeded in less than 5 years. In 1995, they focused on the Internet market and created the popular Internet Explorer browser which remained the best browser for almost a decade. Today, Microsoft created operating systems and other software are used in almost every household. Reddit, a social news website, was originally founded by 22-year-old graduates from the University of Virginia, Steve Huffman and Alexis Ohanian in 2005. After one year, in 2006, the site was acquired by Condé Nast Publications and in September 2011, it was split from Condé Nast, and recently it operates as a subsidiary of Condé Nast’s parent company named Advance Publications. By the middle of 2010, reddit experienced explosive traffic growth and introduced Reddit Gold to provide new features for a price of US$3.99/month. 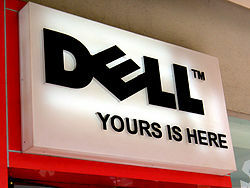 Dell was started with just an idea by Michael Dell in 1984 with the humble investment of $1,000. He created PCs Limited from his dorm room by assembling computers for customers according to their requirements. By the end of the year, he received $300,000 from his family to invest. He dropped out of college to work for his idea full time and in 1985, he grossed $73 million by trading for the whole year. By 1992, Dell Computer Corporation was enlisted in the Fortune 500 list of the largest companies across the world and Michael Dell, at the age of 27, became the youngest CEO of a Fortune 500 company. FedEx Corporation, a United States based logistics services company with headquarters in Memphis, Tennessee, founded by Frederick W. Smith. While still an undergraduate student, Smith submitted a paper, where he showed how to deliver courier overnight or at the soonest in the economics class and the professor awarded him a “C” as the idea was not practical. However, Smith continued working towards his idea and laid the foundation of the today’s FedEx in 1971. Frederick W. Smith started with a $4 million that he had inherited and $91 million which is managed in venture capital. Napster, a music-focused online services, was founded by Shawn Fanning in 1999 as a peer-to-peer file sharing network. John Fanning, and Sean Parker are co-founders of the company. Napster completely specialized in music in the form of MP3 files with a user-friendly interface. Napster was closed for two years because of legal difficulties over copyright infringement. In 2008, Best Buy acquired Napster for $121 million. Shawn Fanning literary transformed the face of music sharing for all future generations. TIME, the world’s largest circulated weekly news magazine with 25 million readerships, is an American weekly news magazine founded by Briton Hadden and Henry Luce in 1923. In 1923, when Briton and Henry were the chairman and managing editor of the Yale Daily News, they thought of creating the first weekly news magazine in the United States.